Registrations are open to attend the BEST+ staff training on intercultural communication! 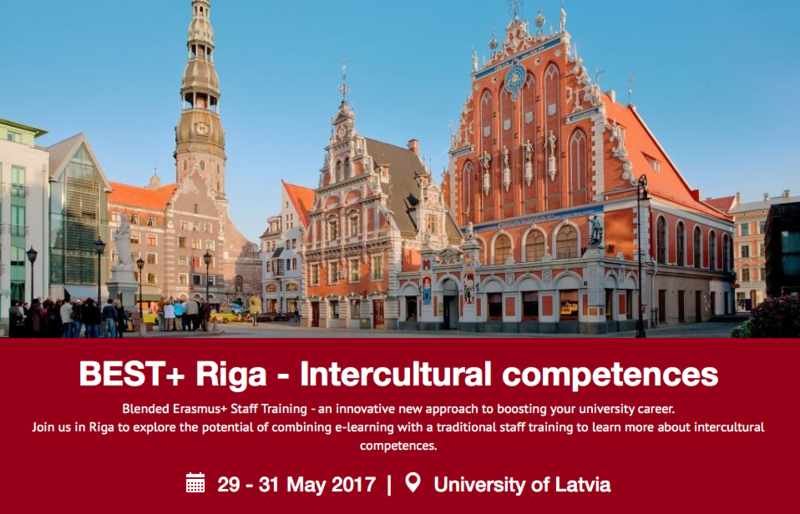 Join us in Riga, at the University of Latvia, to experience a dynamic combination of networking, peer-learning, training and social activities. During the BEST+ staff training, a pool of experts will give participants the opportunity to learn more about intercultural communication, one of the most important competences for university staff working in international relations. The event will take place under the aegis of the Blended Erasmus+ Staff Training (BEST+) project, which organises a range of trainings to pilot a new innovative way of conducting staff trainings for university staff working in the field of internationalisation. The training is composed of one webinar on the 22nd of May and onsite traning from the 29th to the 31st of May. Register by the 24th of April for the first ever Higher Education training taking advantage of the digital development and discover the beautiful city of Riga, the largest of the three Baltic capitals. More information here. The EUF has a longstanding experience in organising high-quality training events for Higher Education staff members who wish to work on their personal and professional development and improve the work of their institutions.